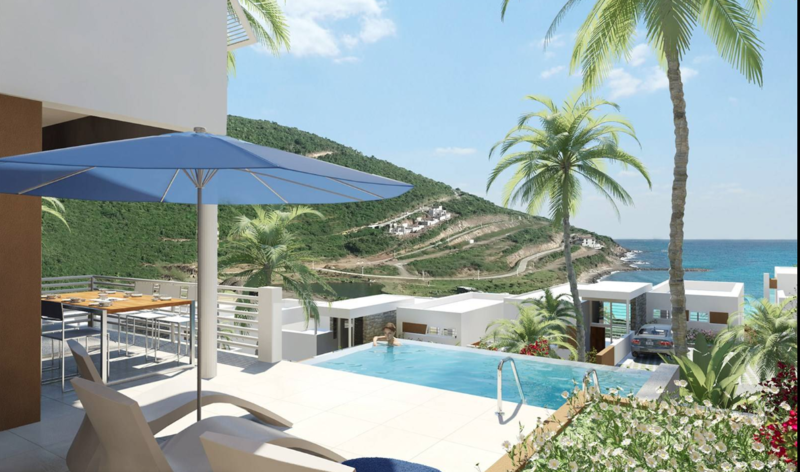 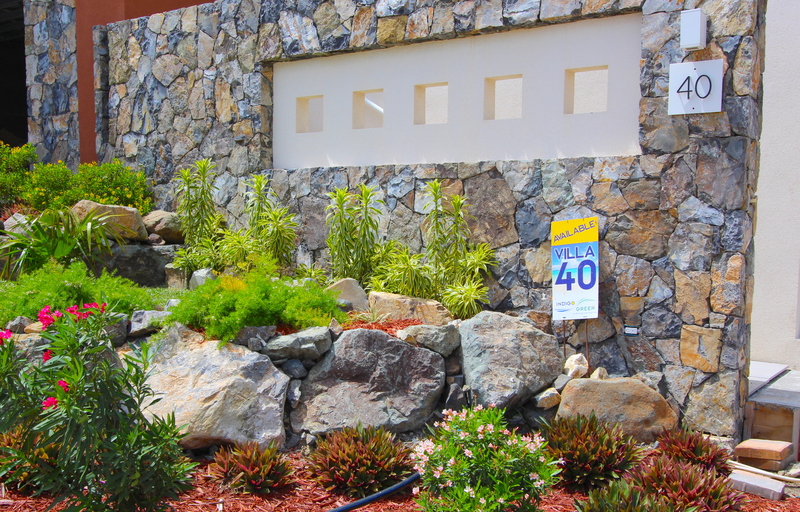 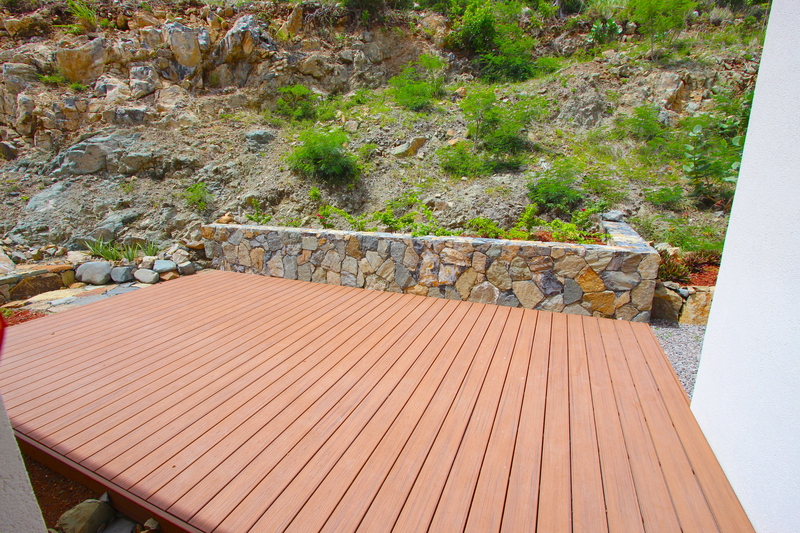 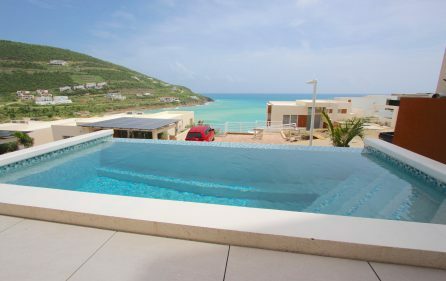 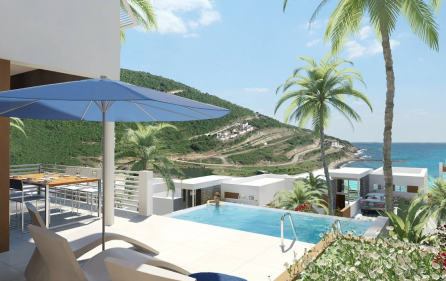 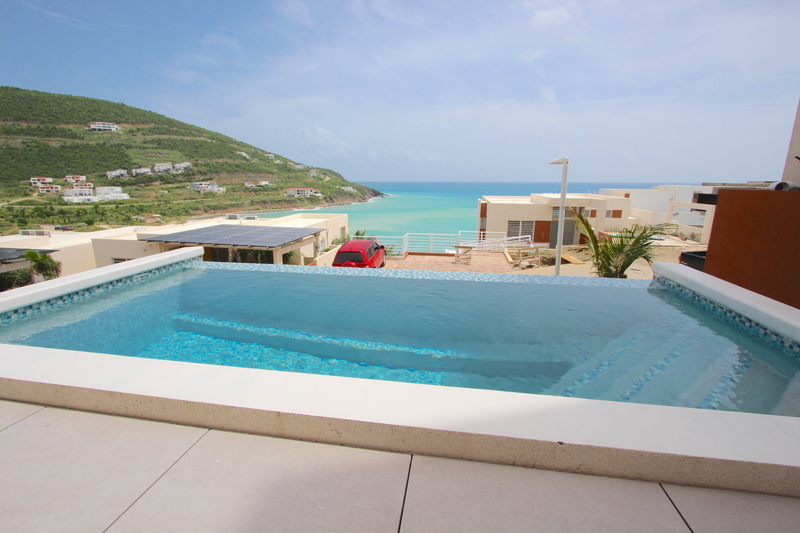 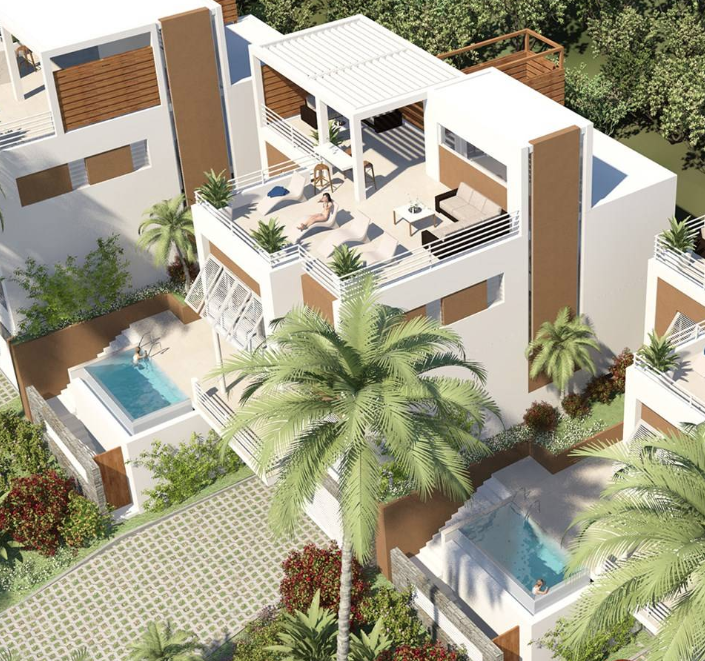 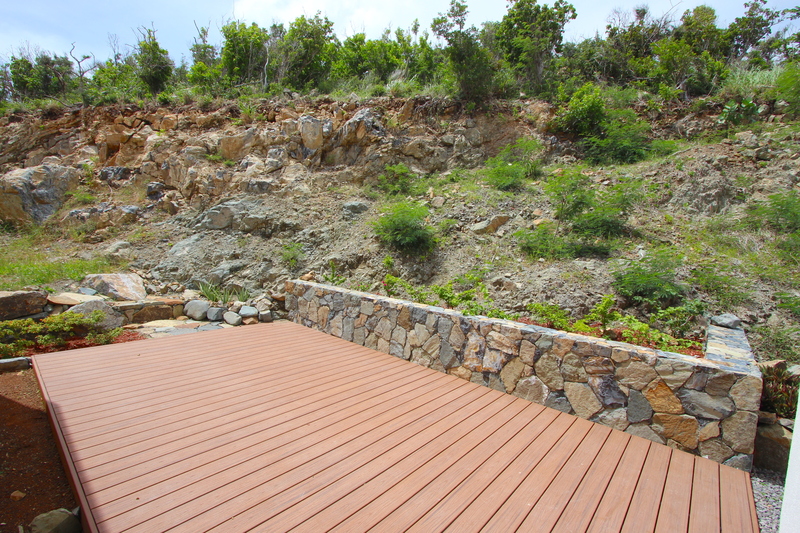 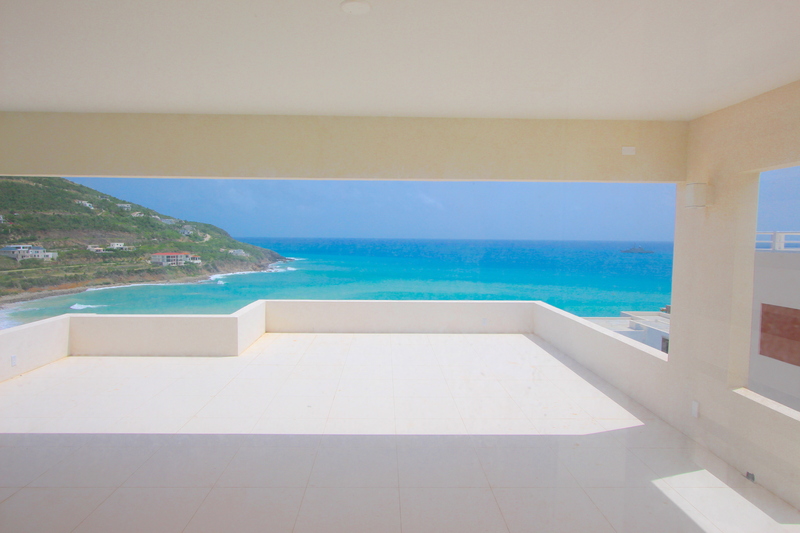 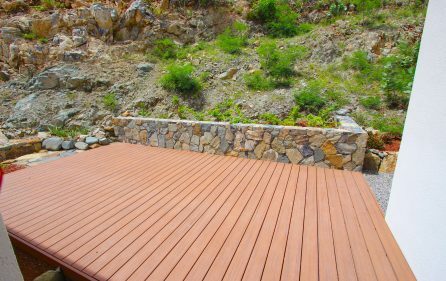 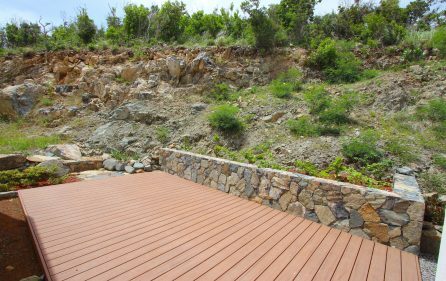 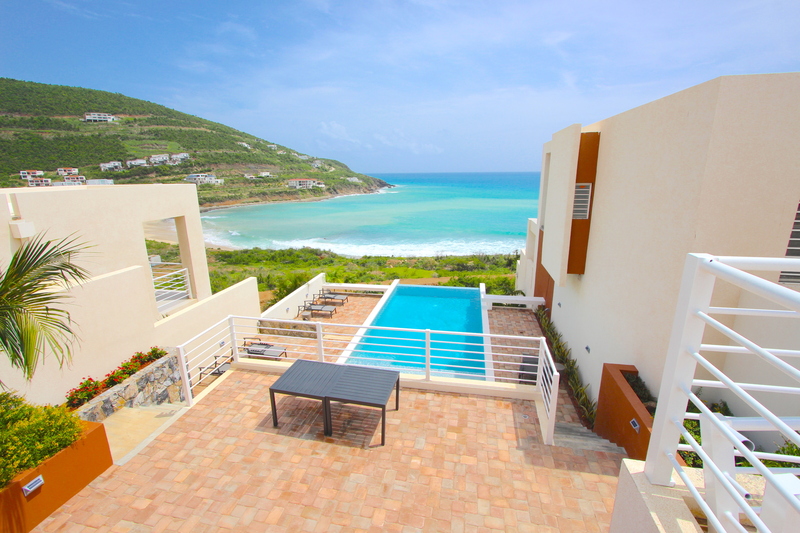 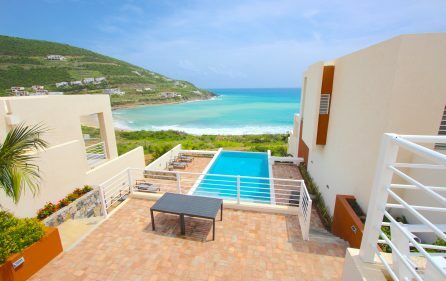 Villa Flamboyant is a brand new contemporary designed Caribbean Villa in Indigo Bay on Dutch-side St. Maarten. 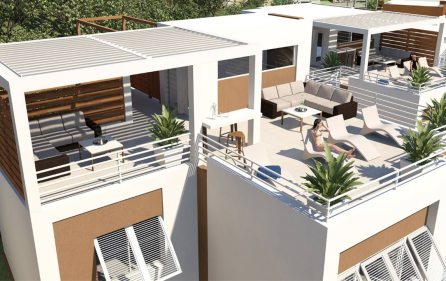 It offers state-of-the-art modern features that incorporate the latest in lifestyle design, storm protection and energy efficiency. 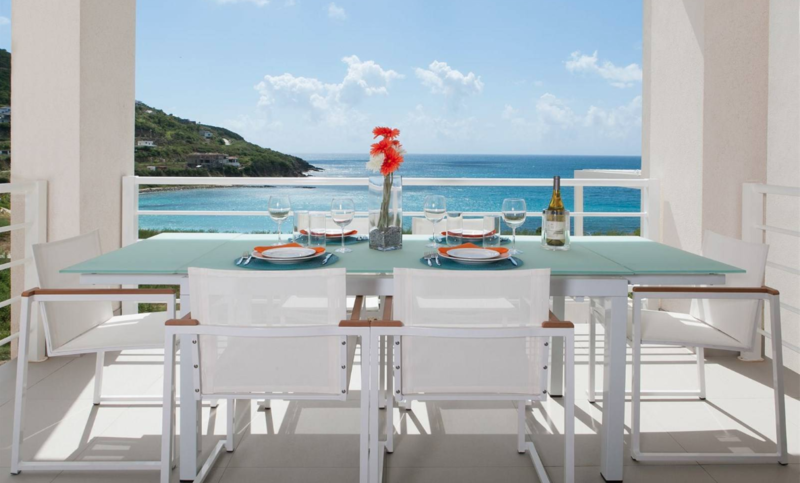 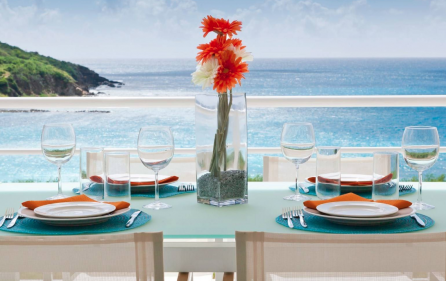 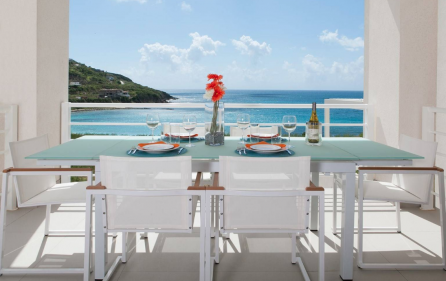 Overlooking St. Barths and other Caribbean islands, you know you have arrived once you are in Villa Flamboyant. 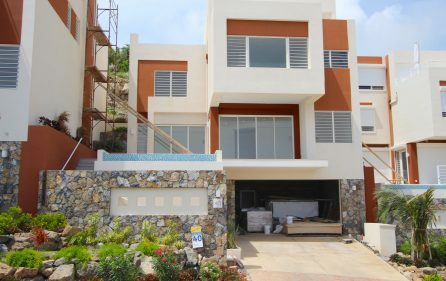 The Flamboyant Villa #40 has a total of 4,870 sq. 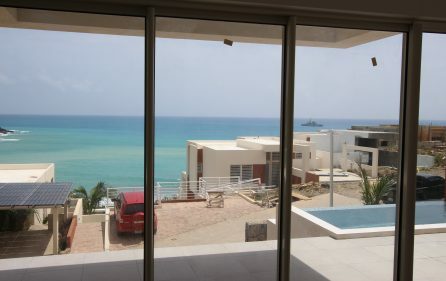 ft. (452 SQM) (including rooftop, pool deck & garage) of luxury living and amazing ocean views. Interior space of 3,198 sq. ft. (with garage). 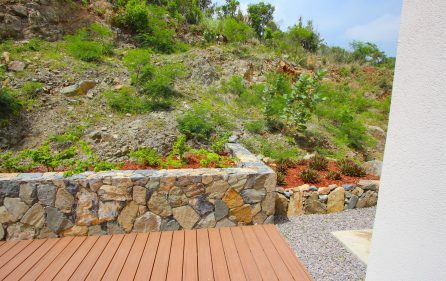 This amazing property features a rare 2 car garage, 3 bedrooms, 3 bathrooms and 6 KW of solar power. 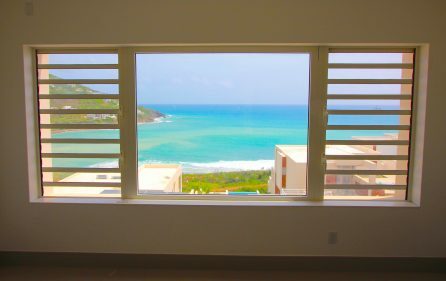 All to the highest possible building standards. 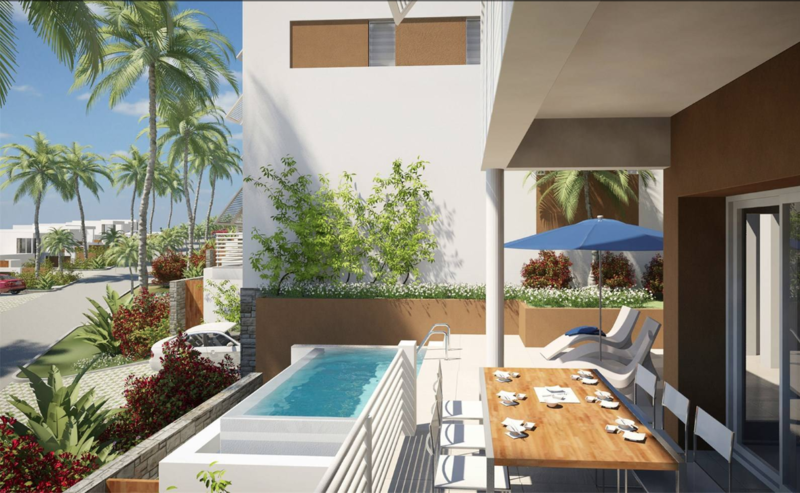 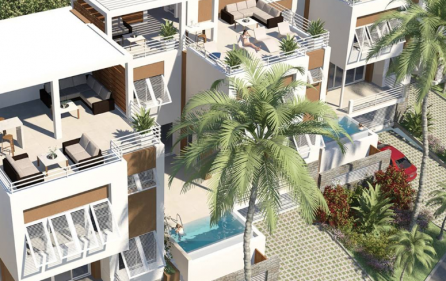 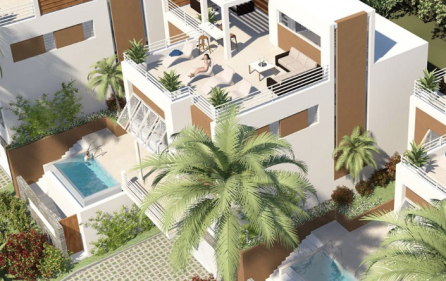 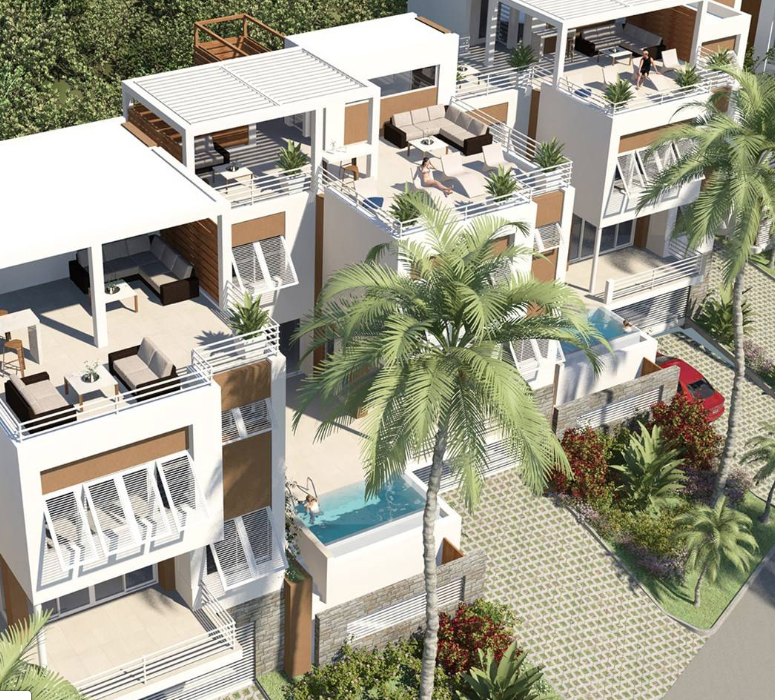 On this specific model, the 1st floor offers you the kitchen, living room, powder room, outside terrace and a perfect splash pool. 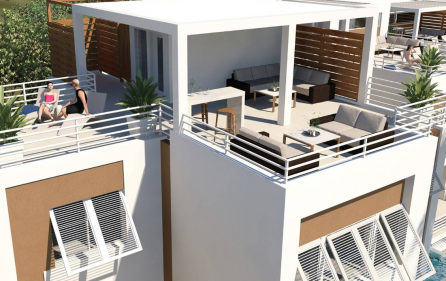 The second-floor features 3 bedrooms and 2 full bathrooms. Depending on the buyer’s needs, this unit can be customized to have a 4th and 5th bedroom on the roof top. 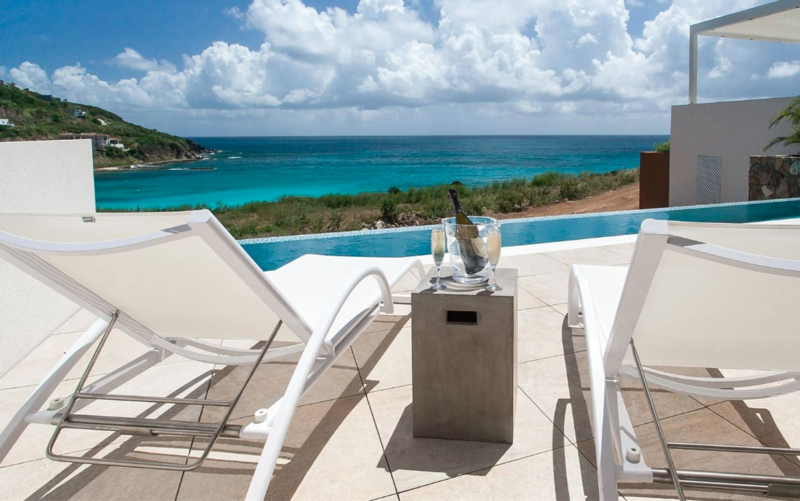 With a private infinity splash pool overlooking the ocean or a rooftop terrace for star gazing, you will be excited to make this villa your home away from home. This model can be customized with an optional elevator. 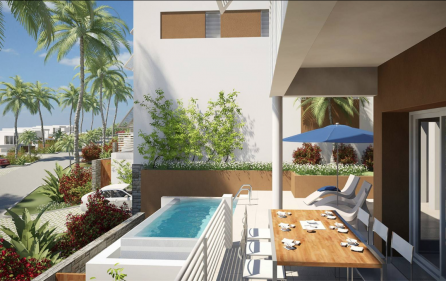 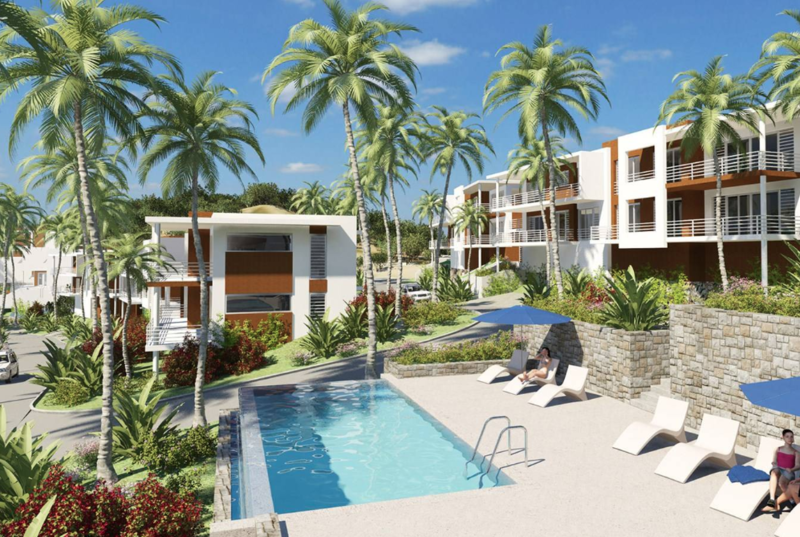 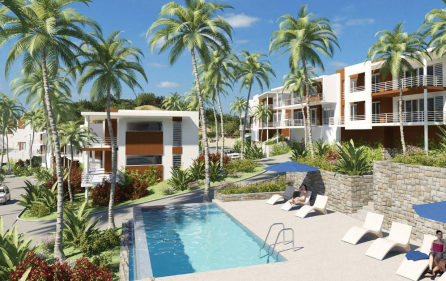 The gated community offers 3 swimming pools to enjoy and a gym where you can even stay fit while on vacation or make part of your daily lifestyle. 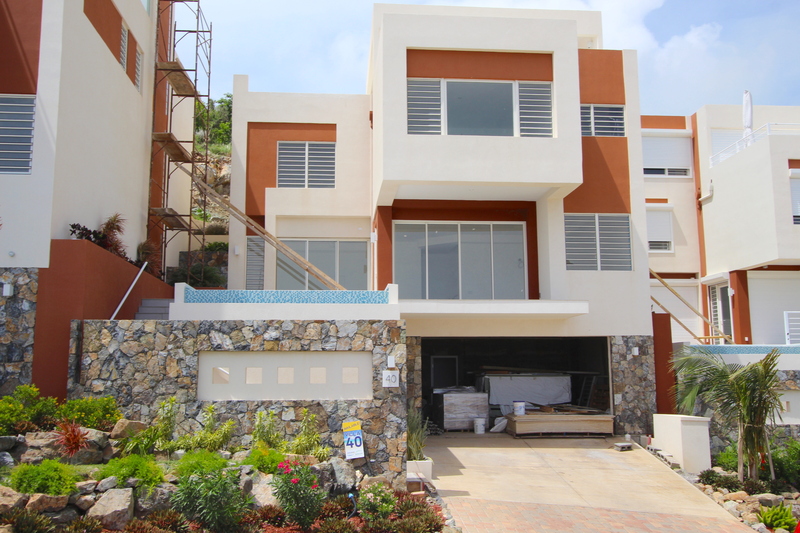 Come and live the dream and make this amazing property yours. 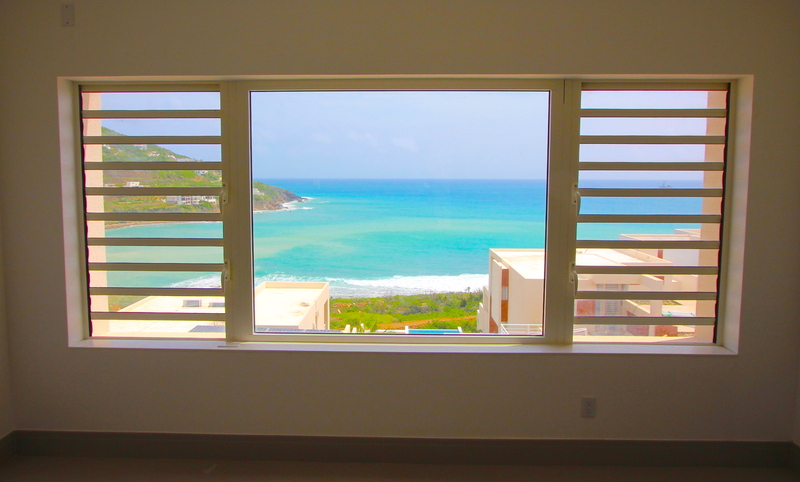 •	Central location, minutes to everything!